2016 is a wink away! Time to kick out the old and welcome the new. If you're getting ready to renovate your home interior, you might want to check out MoodFit - a crowd-sourced online home decoration platform that allows you to personalize your living space at an affordable price with interior professionals. Each room is priced at a flat rate of $300, and the whole process is done online. 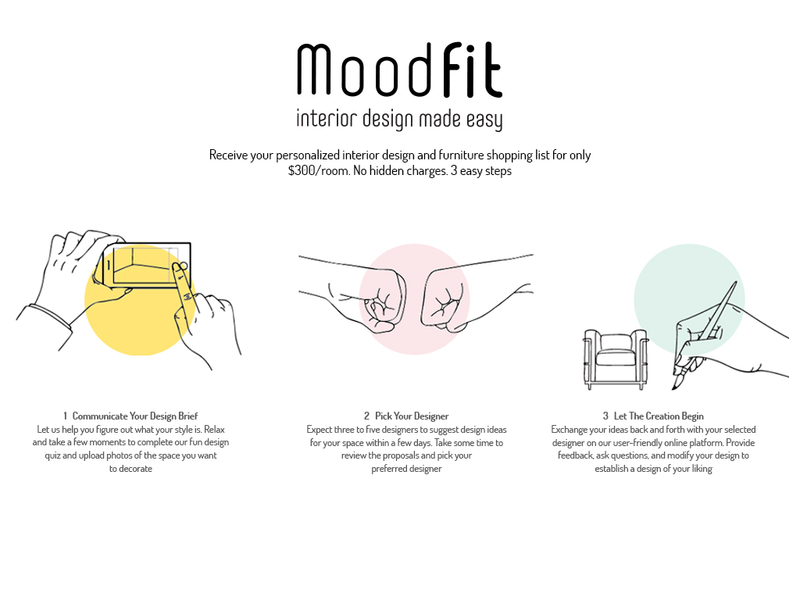 "MoodFit was conceived when a Designer, an Operation manager and a Venture Capitalist teamed up to create a solution that democratizes interior design. " The online service was founded by Ghassan Abi Fadel, Tarek Jaroudi and Mohamad Sabouneh who launched MoodFit in 2015. The whole process involves three parties: you, the interior designers, and the furniture suppliers - who include Skaff, Sleep Comfort and Mobilitop. Currently available in Lebanon, the MoodFit team plans on widening its availability to include the Gulf region. Click here to get started with MoodFit. If you're an interior designer, you can apply to join MoodFit here. Why doesn't anyone discuss Khalil Gibran's Paintings?